It was bright Sunday morning and I recall having seen Grandma go on over and over about how sarees needed to breathe. As a child, I could never quite understand the depth of her concern. Like the chilies that made the food smell divine, the coconut milk that was strained to the right thickness, my grandmother’s sarees too needed the right treatment. Years later when I was bestowed with a trousseau that befitted a queen, I too tried to remember, what were some of the age old ways to preserve those nine yards of magic. 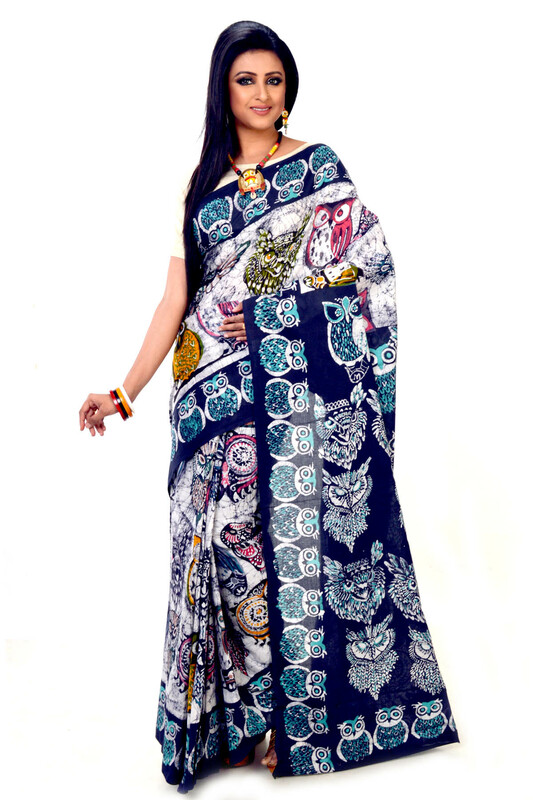 Sooner or later the graceful saree will weave its spell of beauty around all those who have ever teied wearing them. Intricately woven, carefully designed, some heavy, some gossamer light; each saree with its texture, weave, color and pattern and environment, needs a special treatment for storage and this article shall unravel all those doubts that plague our minds, when it comes to storing our sarees. Should You Treat All Sarees Alike? And of course the usage of external embellishments like thread embroidery-zari or sequins and other add ons like tassles or trims. Since sarees range from very heavy Kanjeevarams to light chiffons, each holds a special place in our wardrobe, so let’s delve into each variety and see how well can we manage to keep them looking good as gold! Always wash cotton sarees separately and ensure the colors don’t run by soaking rocksalt in the water, the first time you wash them. Dry completely, but in shade. Ensure the saree is ironed crisp, cooled and then kept in whatever storage you have. Do not keep dark cotton sarees with the lighter ones. In case of residue moisture, the colour imprint could play havoc. Starch the saree if you intend to wear it –do not store with too much starch as it can wear down the fabric. With summers as long as we have in India and with summer weddings that demand some heavy Chanderis and Maheshwaris, Organzas and Tissues, there is always a worry that theses fragile beauties with rather fine weaves will suffer storage debacles. The first line of defense- only dry clean-do not wash at home. Only air them, and no exposure to the sun. Heavy chanderis with zari bootis and zari border should never be stored at the base. Heavy sarees should not be kept on them. Maheshwaris have zari running through the weave and thus discoloration is severe if exposed to water and any perfume. Wrap in muslin or very old cottons that are light in color. Do not hang them as it could tear the light fabric easily. Refold them every second month so that the creases don’t convert to tears as this is the case with organzas, tissues and chanderis. Be all the more careful with ‘light as air’ chiffons and the ‘drape like dream’ georgettes as they are woven very lightly. Tears are common due to over usage of pins or hanging them for too long. Do not stretch the fabric while drying. 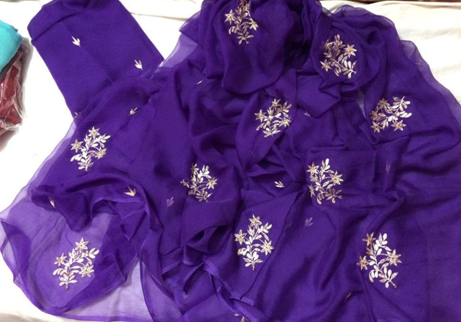 Never should you store chiffons with heavier silks as the weight of the heavier saree could be damaging. Now that is where the word care really takes on quite another meaning because we are now in the realm of some of the heaviest fabrics like tanchois, silk jamdanis, kanjeevaram, uppadas and so many others that cost us much more than other sarees. 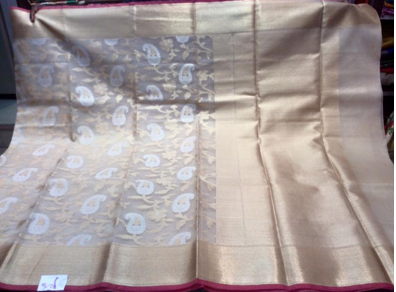 Do not store silk sarees with other material like cotton or chiffons. Always change crease every now and then to avoid deep creasing and permanent fold that may be difficult to iron out easily. Store in a cool space, dehumidified and away from direct sunlight. Heavier sarees must be stored separately and those with zaris in particular must not be heaped up with sarees on top. Very important to remember is that silks can be of many varieties-so separate the lighter silks from the heavier ones. 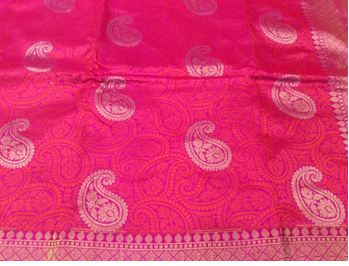 Always remove any plastic cover on the saree as that leads to zari and fabric discoloration. 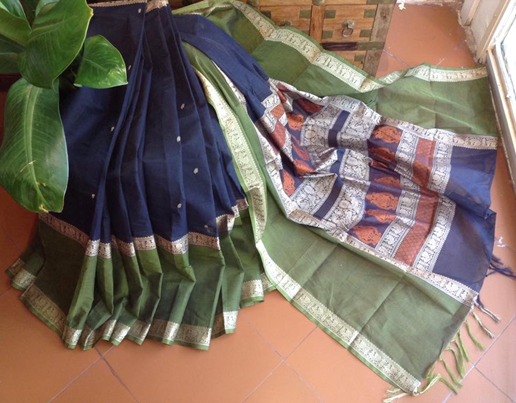 Wrap heavier sarees in old light colored duapttas or washed and cleaned old fabric. Air and show light amount of sun every six months. Bring the saree to room temperature before storing them. Life extension of sarees is possible if you give them fresh air to breathe the cool comfort of a natural fabric wrap, and the cosy yet clean confines of a cupboard or metal trunk. Though what is believed is that wooden chests are always better a option as they allow cloth to breathe. Refrain from using naphthalene balls as they tend to dilute the color of sarees as they slowly evaporate. In fact they could ‘eat’ up the color if they come in contact with the fabric. Do use dry neem leaves as a great way to keep insects out. Do not use fresh leaves as they could stain the fabric. Never should you store a saree soon after wearing it-allow the saree to air before storing-better still sun it for 10 minutes. 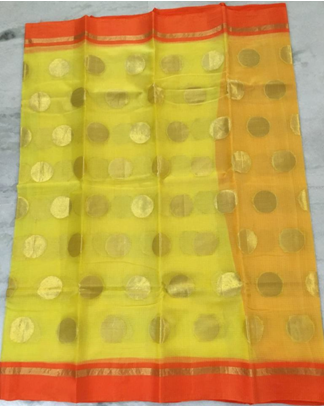 Like all things that thrive on love and care, sarees are an umbilical part of a Woman’s personal treasures and with these simple and easy to follow steps you can make each worthy saree an heirloom, to be passed on to the next generation; much like the paithani from my grandmother or the Benarasi from my mother!